Did you know that as of 2017 only 7.01% of pilots were women? With such a minimum number of women within the airline industry, AeroStar is a shining exception. Since 2015, the CEO of AeroStar has been a woman: Deidra Toye. Under her leadership, AeroStar has gained recognition as one of the finest aviation-training providers in the world, by serving the needs of individuals as well as flight schools, colleges/universities, government agencies, and airlines across the globe. In addition to her success in the flight training industry, she is Owner and Chief Operating Officer of Spectrum Aero Maintenance Services, also located in Kissimmee, FL (KISM). Deidra is not only AeroStar’s CEO, she is also mentoring her former mentor. Around 12 years ago, Deidra worked at American Flyers as a Customer Service Rep with Jason Gledhill. Gledhill went above and beyond his boss duties to help mentor Deidra about the aviation industry. When looking back on those days Deidra stated “I was super excited about aviation, and with that excitement, I wanted to learn all I could. 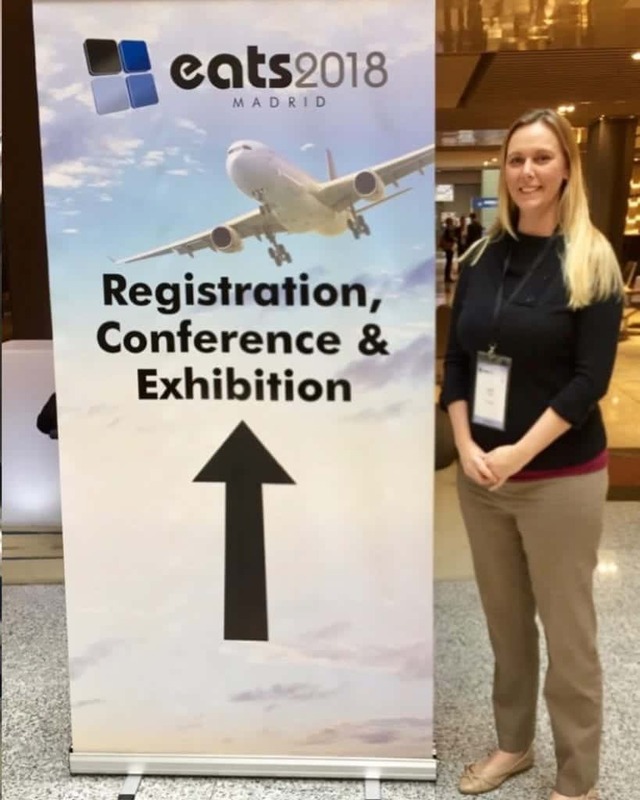 Jason never stopped teaching me along the way.” With Gledhill’s invaluable advice, Toye was able accelerate her success advancing within the industry to own and operate a both leading aviation training and an aircraft maintenance organization. In a twist of fate, Deidra is now mentoring Jason by offering him an A320 Type Rating course through AeroStar, which he has now successfully completed. In response to her transforming from the mentee to the mentor, she said “To me, what’s satisfying, and I think Dave (Santo) would say the same, with us at AeroStar where we’re training so many pilots every day, all the time, as we travel across the world and we’re going to trade shows, and we’ll look up in the cockpit as board an airplane and there have been so many times where we’ve been like, hey, we know you; you graduated from AeroStar!” “it’s an amazing experience”. In addition, Toye spoke on the basics of her mentoring relationships. “It takes dedication on both sides. There have been times where “I’ll see a diamond in the rough, and be like, you know what, this person has so much potential, so much raw talent. And I’m just drawn to want to mentor them. But if they’re not a hundred percent into it and they’re not dedicated to it, at the end of the day, no matter how great they could be, if they’re not wanting to apply themselves to do it and they don’t have that passion for it, it’s not going to work out in the long run”. At AeroStar Deidra has been able to utilize her mentoring expertize to help organize her team into becoming the best mentors for their students. In speaking of what she has learned from her mentor Toye stated “(Gledhill would) show me the fun side of aviation. How he mentors other people and how it’s important to mentor people throughout your aviation career. And from there I just really took it to heart and I adapted and adopted that mentality. And now I am delivering the same kind of message to my team and customers here at AeroStar.” Operating and growing two amazing companies, Deidra is becoming a prominent role model for Women in Aviation. If you’re at Aerostar’s Kissimmee campus, you may find yourself in a casual conversation Deidra Wilson, having a great conversation about ATP CTP certification, type ratings, mentorship and pilot careers. 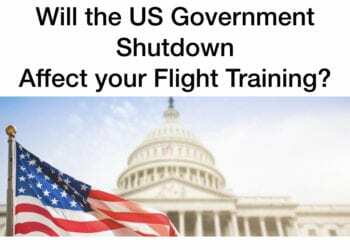 AeroStar Training Services is open for business during the government shutdown. Our instructors are holding courses, students are enrolling and graduating, and things are progressing as normal with a few exceptions. Most flight training courses are being held as scheduled! Students are completing lessons and logging time toward their goals! We have an in-house Visa agent that can approve student visas. We can issue FAA temporary licensing on -site so that pilots can start using their new licensing or type ratings right away. Foreign License Certifications/Conversions – Are currently on hold. FAA Medical Certificates – for student pilots and others are currently not being issued, although Aviation medical examiners may still issue certificates to qualified pilots at the time of a regular FAA physical exam. https://aerostartyperatings.com/pilot-training-articles/type-rating/It’s a great time to upgrade your skills, get the credentials you need – everything from initial pilot training, ATP-CTP certification, B737 and A320 type ratings, and advance your career. Have concerns? Give us a call at 407-888-9011 and let’s get your questions answered! 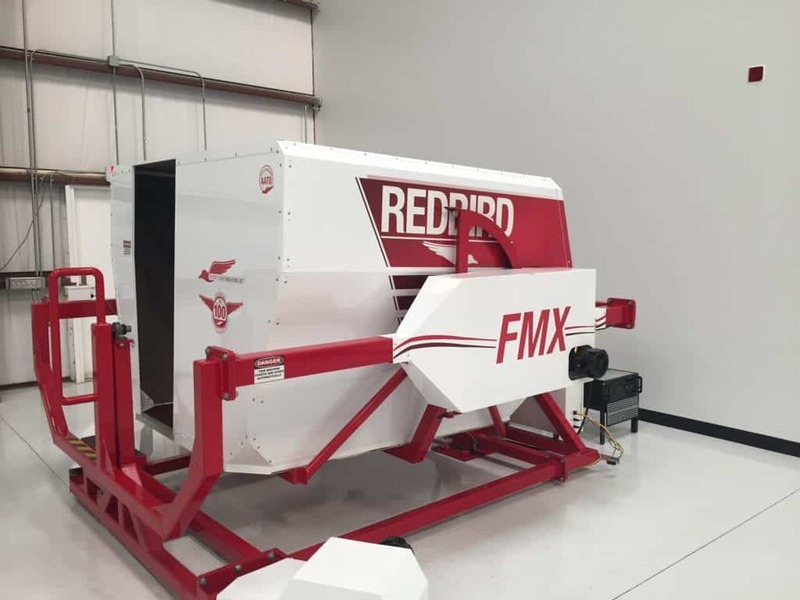 AeroStar has added another flight training device to our simulation efforts, a Red Bird FMX, which will be used to support Career Pilot Academy students here at our Kissimmee training campus. This device is the third recent addition to AeroStar’s simulation portfolio. We acquired an A320 simulator in late 2017 and a B737 simulator has also been purchased and will be delivered at the end of the year. 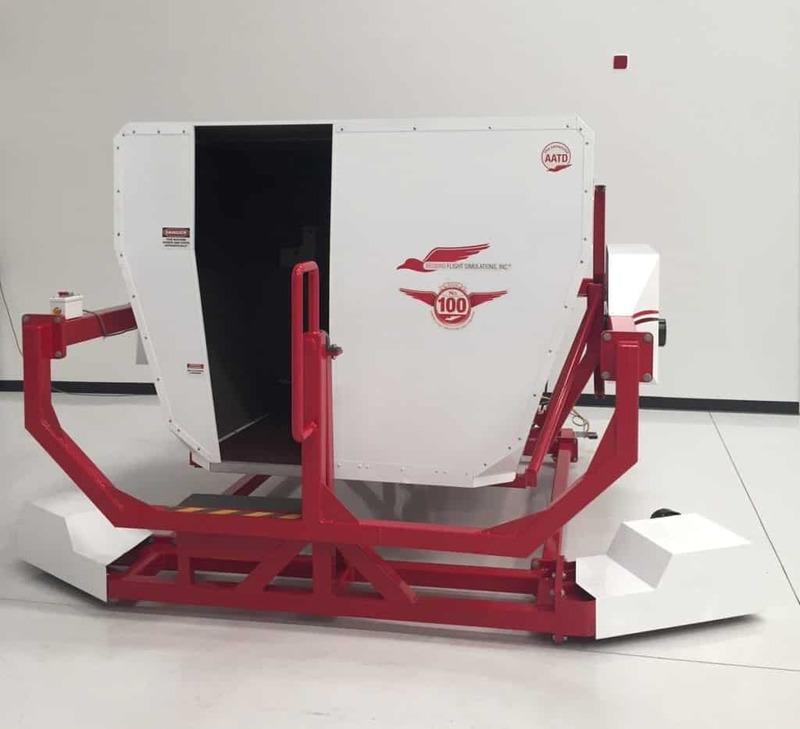 “With all the space our new hangar facility provides us with, we are able to bring a variety of simulators in-house and fully cater to our student’s training needs,” said Dave Hensely, AeroStar’s Training Center Manager. 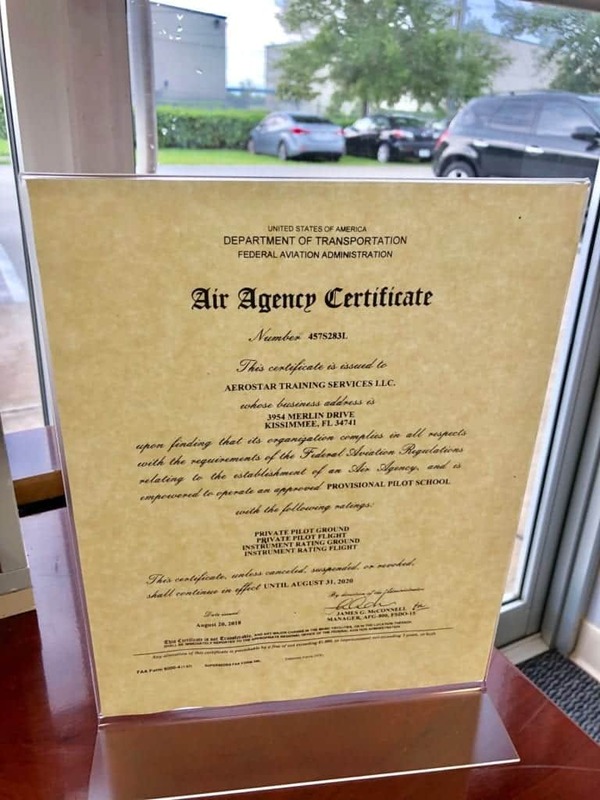 KISSIMMEE, August 22, 2018 — AeroStar is pleased to announce that we have obtained our Part 141 certificate. The Part 141 program enables students to secure a private pilot certificate in 35 hours instead of 40, and for an instrument rating, 30 hours instead of 40, as is required from a Part 61 school. This reduction in hours can save students greatly on training costs and time. Having this certificate also allows us to add our training curriculum to the list of SEVIS-approved flight schools, allowing international students to train here on an M1 visa. 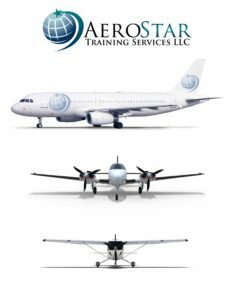 While both Part 61 and Part 141 training programs follow the same policies set forth by the FAA, Part 141 training establishments are often geared towards career-minded students and use a more professional-oriented curriculum. Becoming a Part 141 training school is the perfect fit for AeroStar because we help students from their first time in the cockpit to securing an ATP certificate and other advanced training courses including type ratings on A320 and B737. AeroStar’s Part 141 certificate is valid for our Private Pilot and Instrument Rating programs. AeroStar has held its Part 142 certificate since 2008. Contact us to learn more about our training programs at (407) 888-9011. KISSIMMEE, July 1, 2018 — AeroStar Training Services announces the official launch of an on-location A320 simulator, recently installed in their new 18,000, soon-to-be 30,000 square foot hangar facility at the Kissimmee Gateway Airport. 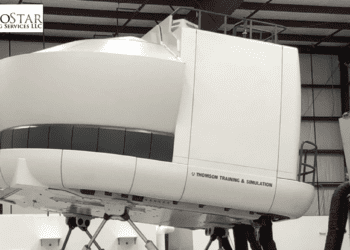 This simulator is being used by the school’s pilot trainees working on an A320 type rating or ATP certificate, as well as by airlines and organizations who wish to dry lease simulator hours. This grand opening is phase one of a major expansion effort for the company, which includes a $1.5 million dollar building addition, featuring a new state-of-the-art aircraft maintenance facility, Spectrum Aero. It also introduces the first of several new simulators that have been acquired by AeroStar. These simulators provide student trainees with the opportunity to complete all necessary pilot training in-house and not require them to travel to other locations for the simulator portion of their training. Phases two and three will roll out later this year and cost approximately $2-3 million dollars to complete. “We look forward to making our sim training more convenient for our students and having state-of-the-art equipment on-site that we will also be able to lease out to airlines and other training organizations and use for many years to come,” said Deidra Toye, AeroStar’s president & CEO. By the time the expansion project is complete, the company will have secured over $20 million dollars in simulator assets and AeroStar will be the only school in the Americas that will be able to train pilots from obtaining a Private Pilot License to a complete Airline Transport Pilot License and type ratings on A320 or B737 under the same roof. You’ve thought about becoming a pilot ever since you can remember and now it’s so close you can almost taste it, but one thing still stands in your way, it costs money. A lot of money. We get it, we’re pilots too and we’ve been there, and we want to help make your dream become a reality because we know the payoff really is worth it! AeroStar is pleased to offer financing options through a company called Pilot Finance Inc. for students pursuing ab initio pilot training who are taking at least 1 to 5 lessons per week. You can learn more about their program at www.pilotfinance.com or ask for an application in our office today. Funds are approved and secured to your account within 1 business day so you can start training right away. Be sure to also check out our page on scholarship resources as well, you may be able to get some financial assistance that way as well and don’t forget, we are also approved for VA benefits. Don’t let 2018 be the year you said you were going to do something big like finally get your pilot’s license and then slip on by. Call us today with any questions you might have (407) 888-9011. Best Local Spots to Fly To! So you’ve finally earned your highly anticipated private pilot’s license and now you’re wondering, where should I fly to? Our head flight instructor, Rob Becker offers some insights on a few local favorite spots that won’t burn a hole in your pocket and can make for a fun day trip if you want to do some sightseeing, or just fly in and grab a bite to eat. *The times below are based on flying a C-172 at approx. 110 knots. The southernmost island of the Golden Isles, Jekyll Island hosts a wide variety of family-friendly activities and attractions. This 5,700 acre island is beautiful to visit any time of year, but is particularly beautiful in the spring and fall. 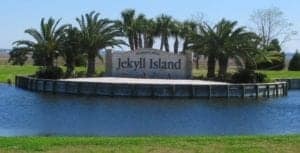 Jekyll Island offers an abundance of recreational activities for visitors of all ages including white sand beaches, golf, tennis, a water park, fishing pier, horseback riding, dolphin tours, biking trails, and sea turtle center, just to name a few. There are also a variety of restaurants boasting local seafood and traditional southern fare. St. Augustine’s heritage makes the city a unique getaway for visitors. 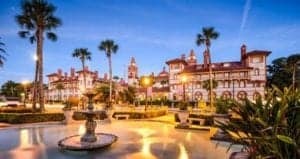 Founded in September 1565, St. Augustine is known for being the “Nation’s Oldest City.” When you visit St. Augustine, you dive into more than four centuries of history that owes much to the Spanish, English, Greeks, Native Americans, and African Americans. Stroll the narrow lanes, enter the many museums, visit landmarks such as Castillo de San Marcos, Ponce de Leon’s “Fountain of Youth,” and the Oldest Wooden Schoolhouse. St. Augustine is a favorite spot for history buffs and families alike. Vero Beach, located along Florida’s Atlantic coastline, is a haven for golf, water sports and also fishing. 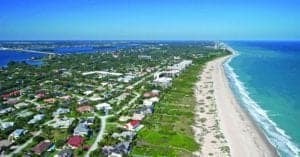 With peaceful beaches, museums, nature tours and a range of hotels to choose from, Vero Beach is a terrific vacation destination and a part of the region known as Florida’s Treasure Coast. Vero Beach also offers a fine selection of shops – both downtown and in large shopping malls, and delectable cuisine for all budgets and palates. Also found in Vero Beach are art galleries and parks, some of which offer access to an intricate network of rivers and inlets. Fernandina Beach is located in Nassau County on Amelia Island in Florida. Part of the Greater Jacksonville area, it is also the northernmost city on Florida’s Atlantic coast. Home of the popular Isle of Eight Flags Shrimp Festival and is also known for great golf. Downtown Fernandina Beach offers shopping and a range of restaurants. Amelia Island has been a beloved destination for generations. There is 13 miles of beaches, abundant wildlife and clear, calm waters. 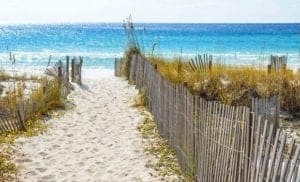 Fernandina Beach and Amelia Island have consistently been ranked among Florida’s highest-rated destinations. Venice is located on the Gulf Coast of Florida. Best known for Venice Beach with an offshore coral reef, it is also filled with multi-use trails along the Intercostal Waterway, green spaces, and Monty Andrews Arboretum. Strolling along Caspersen Beach, you may even find some shark teeth. Venice offers 14 miles of beaches and recreational opportunities, including swimming, sunbathing, shelling, golf, fishing and boating. Venice also is a Florida Main Street City – the downtown is graced by northern Italian architecture and beautifully landscaped boulevards dating back to the original city plans of 1925 and reminiscent of the Italian city of Venice. If you are interested in learning to fly recreationally, please visit our initial pilot training page to see what course offerings we have, or call (407) 888-9011 to speak to our pilot training specialists who can help determine which program is right for you! I recently had a chance to sit down with our director of flight training, Rob Becker, and we spoke about some of the most frequently asked questions students have about flight training in general. If you have a question you don’t see answered here, please contact us and we’d be happy to answer it for you! Robin Frey: Hi Rob, I have put together some flight training questions that are frequently asked by students. I’m hoping you can help me answer them. Rob Becker: Sure, I will try my best! Robin Frey: How quickly can a student obtain their private pilot license at AeroStar? Rob Becker: The minimum flight hours by the FAA is 40 hours, but the industry average is between 55 and 60 hours. If you train 2 to 3 times a week you should finish in 3 to 4 months. Robin Frey: What usually happens during a typical flight lesson at AeroStar? Rob Becker: You and the flight instructor will meet for about 15-20 minutes and discuss what training you are going to do during the lesson. Next, you will pre-flight the airplane and then fly and do the lesson. Lessons are generally broken up into 3 types of lessons: 1) Practice in the airport traffic pattern doing take offs and landings 2) Go to a designated practice that is close to the airport area where you will do flight maneuvers such as slow flight, stalls, steep turns, and emergency procedures 3) Cross country and night flights. Robin Frey: Will a student have just one flight instructor during training or multiple? Rob Becker: You will be assigned a primary instructor with who you will do most all your training. Occasionally, you may fly with another instructor because your primary instructor may be unavailable due to vacation or sickness. You also will fly once or twice with the Chief Flight Instructor prior to completing your training. Robin Frey: Do students need to complete a medical examination before they start flight training? Rob Becker: You do not need to have a medical prior to starting your training but you must have it prior to your first solo flight. Robin Frey: Will the student need to obtain any kind of special insurance prior to their flight training? Rob Becker: You do not need to have special insurance for training flights, but if you are renting the airplane to do time building you will be required to obtain additional insurance that we can assist you with getting. Robin Frey: What are the most important skills you need to be a successful pilot? Rob Becker: There are no special skills that are required. Male or female, young or old, they have all learned how to fly. The most successful students are the ones that make training a priority and set aside ample time to study prior to and after any lessons taken. Robin Frey: How soon will a student actually fly the plane or solo? Rob Becker: You will be handling the plane on your very first lesson. Your first solo will be when you have completed the first phase of training, which is usually around 20 flight hours of training. Robin Frey: Where will students fly on their cross-country flights? Rob Becker: You must fly at least 50 nautical miles from your departure location. Common airports that you will fly to would be Ocala, Brooksville, and Crystal River. Robin Frey: Are students required to submit payment up front or is it pay as you go? Rob Becker: We do not require money up front, it is pay as you go. You do need to have a credit card on file so that the flight cost can be charged to the card. If you do not have a credit card on file, you will need to keep a balance of $500 on your account that will allow you to have the funds available for your next couple of lessons. Robin Frey: How far in advance does a student need to schedule their flight lessons? Rob Becker: If the airplane and instructor are available, the lesson can be reserved at any time, although this is not recommended because that would mean that you the student probably haven’t prepared probably for the lesson. It can be done occasionally, but it should not be the norm. Robin Frey: Okay and one last question, what would you say is the biggest advantage for students to choose to do their initial flight training with AeroStar? Rob Becker: When training at the Kissimmee Airport with AeroStar, you can start your practice area maneuvers within just a couple minutes because the practice area is so close. This will save you from having to pay an extra 10-15 minutes of flight time every time you have to go out to the practice area. Training at AeroStar allows you to train with professional instructors who have trained students for many years and have thousands of hours of experience, instead of a school where instructors are brand new to teaching and have zero to very small hour amounts of experience. Robin Frey: Great answers. Thank you so much for your time Rob, hopefully this has been very insightful for student pilots who are just starting out or shopping around for a flight school. 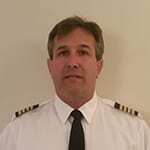 Rob Becker, our Director of Flight Training has been flight instructing full-time since 2009. Rob holds an ATP, MEL, and SEL license. Rob’s instructor ratings include CFI, CFII, and MEI with Gold Seal. He also has his Ground Instructor and Advanced Instrument Ground Instructor Ratings. He has 4,500 total flight hours and has given over 4,000 hours of instruction. He has also given 1,000 hours of multi-engine instruction. Paula Williams: Just to get started, maybe you can tell us more about ab initio training. What does that even mean? David Santo: Ab initio is a … I believe it’s a Latin word that stands for from the beginning. What we’re talking about here is how do we develop enough of future aviators, future pilots to meet the global demand. First, let’s talk for a second if I can about the global demand. The numbers that are being put out there by Boeing, they’ve been validated by Airbus industries, they’ve been validated by the US Accounting Office, they’ve appeared in front page news, periodicals like the Wall Street Journal and the USA Today. It talks about needing nearly a half a million new pilots in our industry over the next 20 years. Ab initio is an old concept but it’s a concept of we may have to start training pilots from zero time to get them qualified to be airline pilots because they’re not coming through the ranks organically, naturally fast enough on their own. Ab initio is a way to streamline the pipeline of people coming into the industry all the way into the front seats of the airliners. Paula Williams: That makes perfect sense. In a sense that means taking people from their very first lesson. Maybe people who are … You’re looking for high school or community college graduates or anybody in particular? Are there any qualifications to start an ab initio? I know it says from the beginning but there has to be something at the beginning, right? David Santo: That really is dependent on the airline and the individual. You really have two types of ab initios. You have the self-sponsored ab initio. This is somebody who is looking to start maybe fresh out of high school or somewhere in the early stages of college. Honestly, nowadays it could be anywhere in their career. We have a lot of people that get into aviation late as a second or third career but they make the conscientious decision that they’re pursuing aviation as a job, as a career field. Really, they are ab initio students. It’s how quickly they dedicate themselves to accomplishing that task and some people will use schools like Cochise College, FIT, the 141 schools. They’ll go there to accelerate either their education or their time building to get done quicker so they can get into the job market. The other type of ab initio is somebody who’s being sponsored by an airline. Lufthansa has done this for many, many years. Lufthansa hired nationals from Germany. They sent them over to Arizona and they sent them to flight school really with zero flight experience. Now there is an advantage to hiring somebody with zero flight experience for the airlines and that is that you screen them not on their skill, you screen them on their aptitude. You’re screening them on are they a good cultural fit to your organization and then you train them to be the airline pilot that you want them to be. There are some benefits there. United Airlines did this in the ‘60s. Due to the Vietnam War there just wasn’t enough pilots available and they had to recruit people. At that time, Paula Williams, they were using people with private pilot licenses as a prerequisite. It really depends on the airline whether it’s self-sponsored, whether it’s sponsored what that starting point is. The end game is still the same and that is creating a pipeline that is a clear beginning, a gateway, all the way through a career preparation and hopefully placement. Paula Williams: That makes perfect sense. If I’m going into an ab initio program as a self-sponsored student just to get an idea of what I’m in for, what kind of time and money requirements are we looking at? I know we’re going to talk about this in more detail later but just to get a broad picture of what that would look like. David Santo: Some of the programs that we’ve worked with can accomplish zero time all the way through the commercial multiengine instrument and a type rating within as little as 12 months. This is based on the student being full time, fully engaged in the ab initio course. If we go through that pipeline they would come into the program having been pre-screened. We’ve seen screening tools like COMPASS which are aptitude tests that help identify before you spend the money whether you have the right stuff, if you will, to make it through the program. Then they complete their private pilot license, they complete their instrument license, they complete their time building for their commercial, complete their commercial license, their multi-engine. Then they come to AeroStar for that finishing school, if you will. We do jet transition training. We do the high altitude, high speed aerodynamics and theory training. We can do CRM. We can do the new ATP CTP course which is a requirement for the ATP written. Ultimately, our final stage of training of the pipeline is completing the type rating or A320, B737 crew qualification training. Flight School Pipeline Partnerships – what are the advantages? Paula Williams: Fantastic. Okay, so we know a little bit about the ab initio programs. There’s a question. What are the advantages to my flight school for partnering with AeroStar as opposed to just creating my own program? David Santo: That’s a very good question and clearly, we believe in creating a symbiotic relationship. Hold on just one second here. Hold on. David Santo: I think if I come back and I’m sorry for the interruption, the advantages, I think creating a symbiotic relationship means that you allow people to focus on their core competencies. AeroStar’s core competency is we are a 142 training organization. We employ airline pilots whether they’re active or retired to provide advanced Airbus, Boeing, large transfer category jet training. We are just one small piece of the pipeline. The biggest piece of the pipeline is the 141 or part 61 school. What we are proposing to industry is a partnership that would allow us to work as one single pipeline, a symbiotic relationship so that the student gets the feel of a one-stop shop. It gets them all the way through their general aviation training and delivers them into type rating school and out to industry. The other piece I think that’s important right now, Paula, is the new ATP/CTP course. The new ATP/CTP regulations here in the US make it difficult for 141 and 61 schools to offer students the ATP and the ATP written examination leading up to the ATP. Partnering with a 142 school like AeroStar gives you an outlet to accomplish the ATP. Now that course now requires that students or candidates for the ATP written have to have 30 hours of ground school instruction taught by somebody with at least two years of PIC … I shouldn’t say PIC, it could be SIC as well, but 121 experience and they have to receive at least 10 hours of advanced flight training, simulation training of which four hours can be done in an FTD, six hours have to be in a full motion, full flight simulator. Those have to be provided in an aircraft that weigh more than 40,000 pounds gross takeoff weight. Those are not easily accessed resources and we provide those resources for you through the 142 pipeline. Paula Williams: Most of the 141 and 61 schools don’t just have one of those sitting on the ramp. David Santo: No, the level C, level D devices that are required by the new regulation, those are $10 million plus pieces of equipment and the individuals to teach those courses are also tough to come by. We have Flight School Pipeline Partnerships. We have those resources ready to go. It’s turnkey. We’re available to work with 141 and 61 schools as an outlet for your ATP/CTP or your type rating programs. That gives you the benefit of adding these courses without adding the cost. You can add the course to your curriculum, you can advertise it, you can market it and really, it’s just an affiliate relationship and we create a symbiotic pipeline. Paula Williams: Right, and then there are also marketing advantages to working together, one of my favorite subjects, and those would be basically you linking and maybe creating some joint materials where you’re splitting the cost or doing some other things that can be more effective and less expensive for both parties. David Santo: We totally love that, Paula, and that’s one of the things we’d like about with ABCI. If I can make a plug for you guys, is developing synergies where people focus on their core competencies really allows you to excel. You can’t be everything to everybody, you got to specialize if you’re going to be good and we want to be specialist so that we can be the best at what we do. We want to work with other schools that are the best of what they do so together we can provide a wow experience for the customer. That’s what it’s all about, right? It’s not about generating revenue in the front door, it’s about generating qualified trained professional pilots who are wowed by the experience and who wow their employer and their employer then says, “Where did you learn how to fly,” and they come back and they say, “Well, we learned how to fly at Sun State Aviation” or we learned how to fly at IFT or Cochise or any of these awesome schools that we’ve had the privilege of working with in the past.